I’m Gay: How do I tell my parents? You have, perhaps, known for a while that you are lesbian, gay or bisexual. Your parents, on the other hand, might have absolutely no idea thatyou are anything but heterosexual. Even the closest of families with parents who think that they know their children really well can be taken by surprise with an announcement that their daughter or son is lesbian, gay or bi. No two families are the same, so there is no single sure­fire way of telling your parents that you are lesbian, gay or bi. Emotions, circumstances, situations will all vary from family to family. That your parents are surprised by your news doesn’t mean that they won’t adjust. It might take them time, but most parents will come to accept their daughter or son for who they really are. Most parents will be proud that their daughter or son feels able to ‘come out’ to them. It is probably helpful to realise that many parents will go through a whole range of emotions. Some of these might sound a bit negative, but most parents are anxious to do what they think is best for their child. 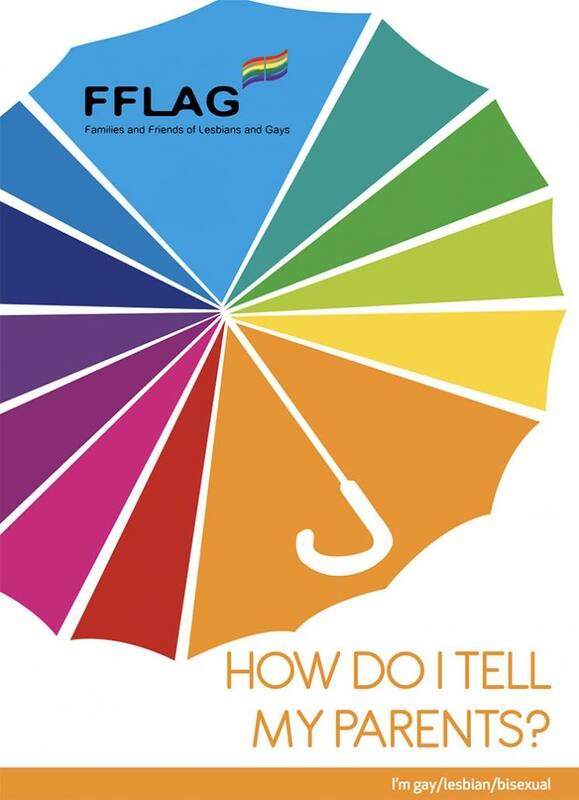 FFLAG’s booklet (below) ‘How do I tell my parents?’ can help you to find the best way to approach your parents. Do look through it and find the parts that are most helpful to you. You can download a copy or we will be happy to send you a hard copy. We can also send you a copy of the companion booklet ‘A Guide for Family and Friends’. We know that just occasionally parents can react very negatively to their son or daughter’s news. If you find yourself living in a hostile environment you might want to contact the Albert Kennedy Trust (AKT). AKT supports young LGBT 16­-25 year olds who are made homeless or living in a hostile environment. They aim to meet the individual needs of each young person. They support several hundred young people every year who have experienced domestic violence or have been ejected from home just for being brave enough to come out as lesbian, gay, bisexual or trans to their parents or care giver.